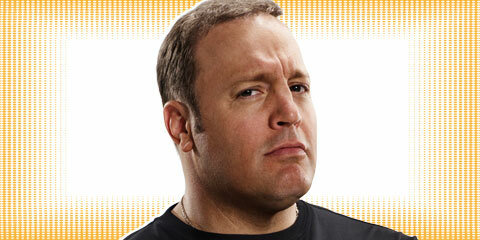 Hershey Theatre is pleased to welcome Kevin James on a one night stop on his national tour, Kevin James Live. Kevin (born Kevin George Knipfing) produced, co-wrote and starred in the hits Paul Blart: Mall Cop, Zookeeper and Here Comes the Boom. He starred with Adam Sandler in Grown Ups and I Now Pronounce You Chuck and Larry. His latest film, Grown Ups 2, with co-star Adam Sandler, premieres this summer. Kevin’s start in film came in 2005 when he had a supporting role with Will Smith in Columbia Pictures’ Hitch. His first appearance on television came as the announcer for the MTV sports show, SandBlast. Well known for his role in television’s hit comedy series The King of Queens, Kevin was also an executive producer on this sitcom that ran for nine years and gave him an Emmy nomination in 2006 for Outstanding Lead Actor in a Comedy series. This entry was posted in Hershey Theatre, Uncategorized by admin. Bookmark the permalink.